日本航空さんの，秀逸なPromotion Videoです。 この名曲は，David Foster　が書き下ろしたもので，Katharine McPhee が歌っています。 映像も，大勢のスタッフが飛行機を安全に飛ばす支えとなっていることを表現しており，素晴らしいと感じます。 This is the very excellent promotion video of Japan Airlines. 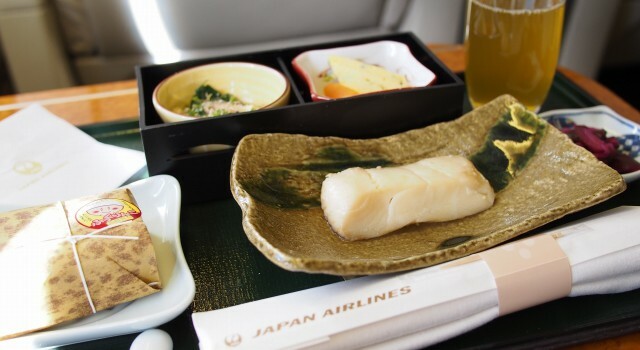 This song, “I Will Be There With You” (sung with Katharine McPhee), is composed by David Foster, and being used by Japan Airlines to promote the introduction of new aircraft to its US flights. 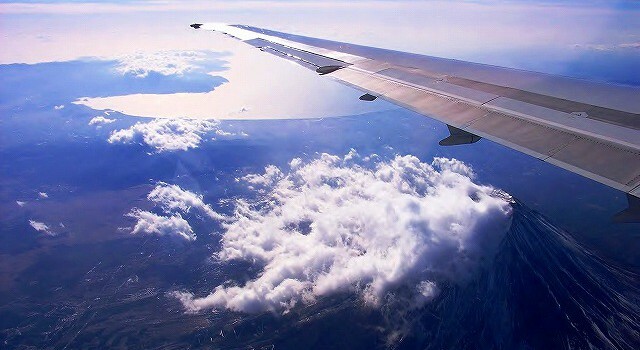 The　picture is also excellent, because, it express that a lot of staffs worked to fly an airplane safety. 羽田空港のANAターミナルから撮影した写真です。 国内線仕様のジャンボ機（B747-400D、いわゆる２階建飛行機）は、燃費などが劣ることから、ANA、JALで次々退役が進められており（JALは退役済み？）、ANAも2015年までに完全退役する予定となっております。 この飛行機を日本の空でみられるのもあと僅か。その２機の偶然なコラボレーションです♪ 絵になる機体の退役はとても残念です。 The 2 B747-400 aircrafts. 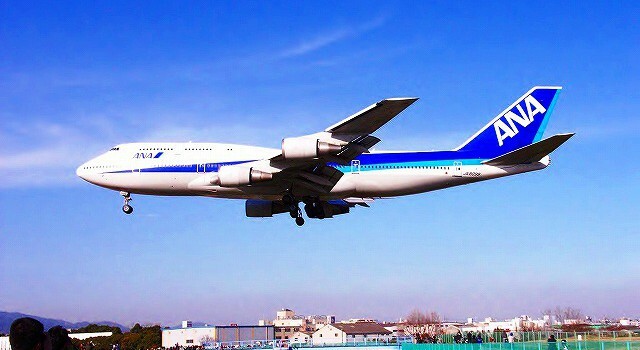 In Japan ( the Japan Nirlines, the All Nippon Airways ), B747 crafts are retireing one after another, because they get relatively poor mileage. 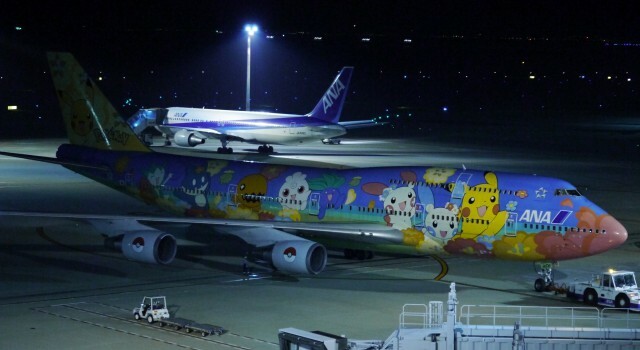 Now, B747-400 are very rare airclafts…That’s too bad. ある日、羽田空港にて。他機に搭乗する際、ボーディングブリッジから撮影しました。 The Boeing 787 aircraft of All Nippon Airways, at Haneda Airport. １１月中旬、広島→羽田の午後７時台便にて、偶々乗り合わせました♪ 虹色の機内照明にビックリ！ なお，全日本空輸は，B787型機のローンチカスタマーです。 The view of the inside of Boeing 787. 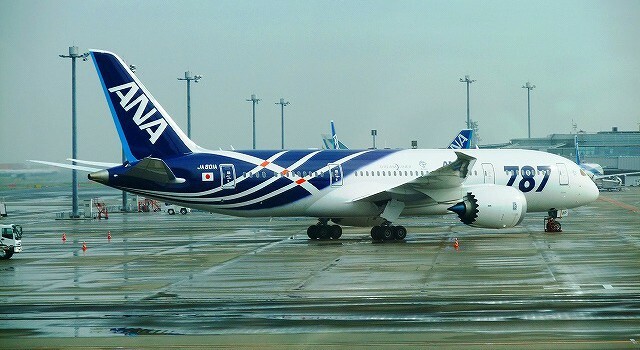 ( Flight: from Hiroshima to Haneda) The All Nippon Airways (ANA,NH,Star alliance menber) is the launch customer of B787. Posted byまちなみ逍遙/Wandering the Wonderful Streets 08/12/2011 26/05/2016 Posted in日本の空港（Japan / Air）Tags: 日本, Japan, 空港, 飛行機, airplane, airport, ANA, B787, aircraft, All Nippon Airways, BoeingLeave a comment on B787国内線搭乗・機内の表情 / the Boeing 787 comes to Japan! 今は運用を停止した旧北九州空港と、やはり今は国内Airlineでは退役したMD87型機のコラボレーションです。 旧空港の運用停止間近に訪問しました。 地上職員の方々のお手振りが、旧空港に別れを告げているようで寂しかったです。 The McDonnell Douglas MD-87 aircraft at the old Kitakyusyu-Airport. 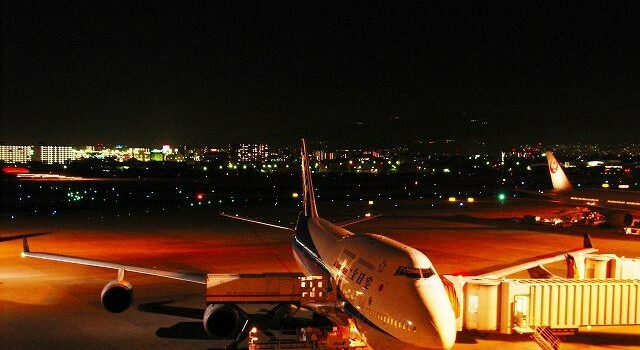 It was decided to abolish old Kitakyusyu-Airport, in March,2006. So,before abolition, I flew to old airport by this aircraft. I felt very sad to see the ground staffs waving their hands. 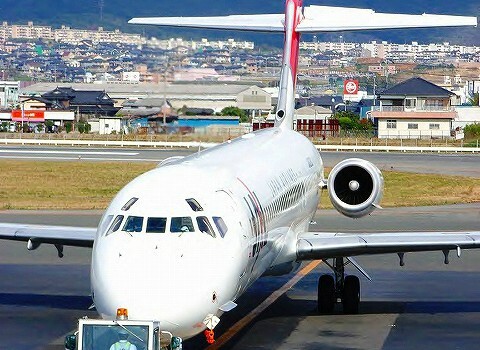 MD-87, also retired in 2007,in Japan. 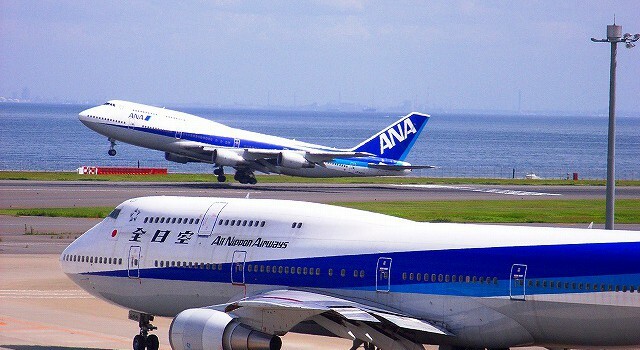 小松空港のエプロンの風景です（2006年6月）。 ANAのB747型機が威風堂々とスポットイン、そしてJALのクラシックカラー機材が地上の職員の方々に見送られながら滑走路にタキシングして行きました。 The airclafts at Komatsu airport, in June,2006. The B747-400D was taxiing to the parking apron,stately. 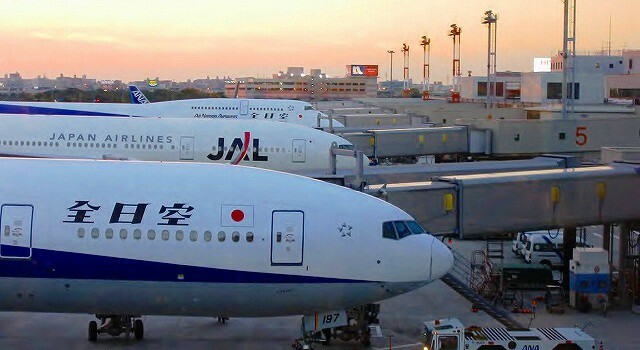 The B777-200 classic Aircraft in Colour of Japan airlines started taxiing for a flight. The ground staffs waving their hands in farewell. 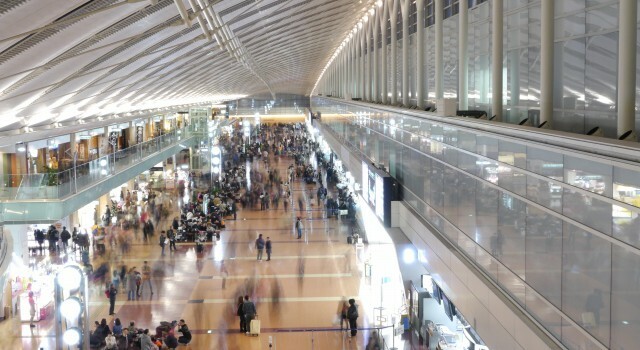 Komatsu Airport, Ishikawa,Japan in June 2006.